It's a Real Mountain Wheelchair Bogie!!! It’s a Real Mountain Wheelchair Bogie!!! I realise this is just a couple of bike forks and wheel rims laid on the floor, but it feels like tangible evidence that it’s actually going to happen. I am actually getting ready to build the mountain wheelchair! Six wheels arrived in total, blue to Ada’s specification, and six forks. All of which are made of the same 6061-T6 aluminium that I plan to use for the rest of the wheelchair frame. It’s also worth mentioning that the motors have been ordered too. I’m using e-bike hub motors, only one of which is able to push a grown adult up a hill on a bicycle. In theory then, shouldn’t six of them be more than ample? Unfortunately it’s not as simple as that; not only are these motors usually assisted by somebody pedalling, but they’re also designed to travel at speeds of about 30-40kph. Far too fast for a mountain climbing wheelchair! At a measly 3-5kph, which is about average for walking in the mountains, the motors would not be spinning in their optimal range and would likely overheat with dramatic effect. 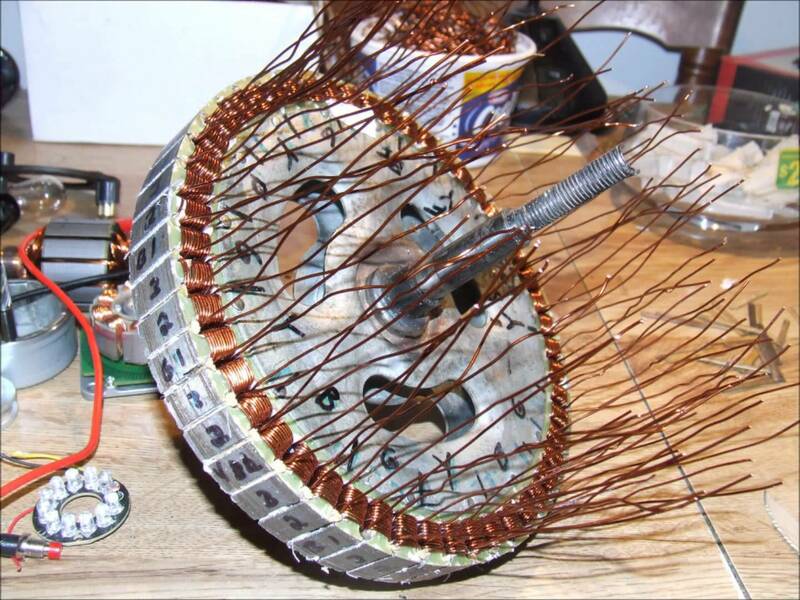 To overcome this, I designed an internal cooling system for the motors. Basically, I planned to open up the motors (left image), weld some fins to the inside of the motors (middle image) and cut some holes in motor housing (right image). 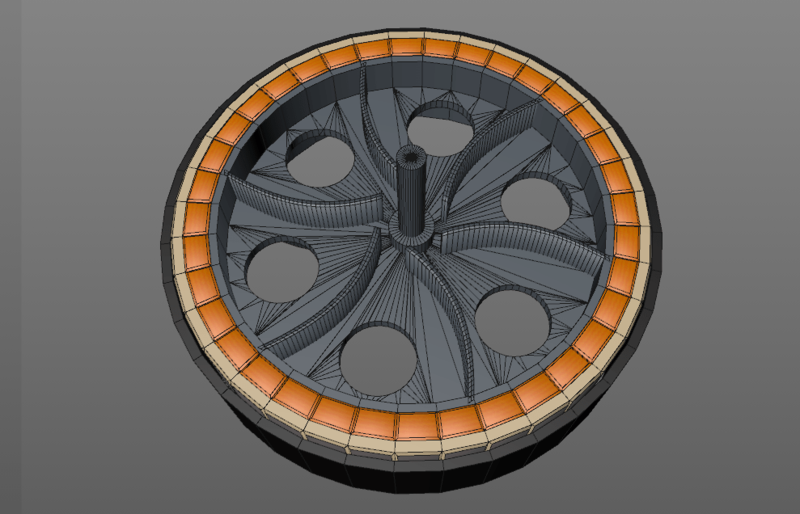 As the motor spins, the fins push air through the motor and help it to cool. 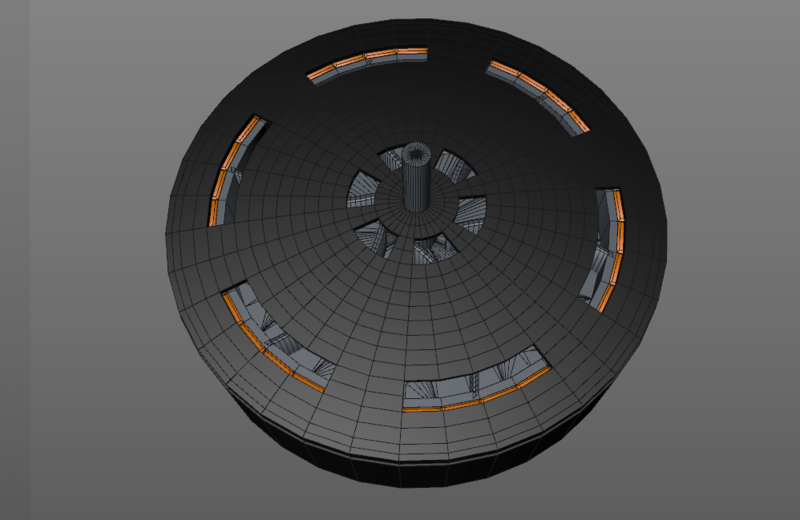 I thought this was a good solution as it’s all being driven by the action of motors which are already spinning. Originally I’d been planning to use 1500w 48v motors. I discovered that if I ran these motors at a lower voltage than they were rated for, then they would run cooler. However, at this speed and voltage, they would only have been about 20% efficient! I needed to find a better solution. 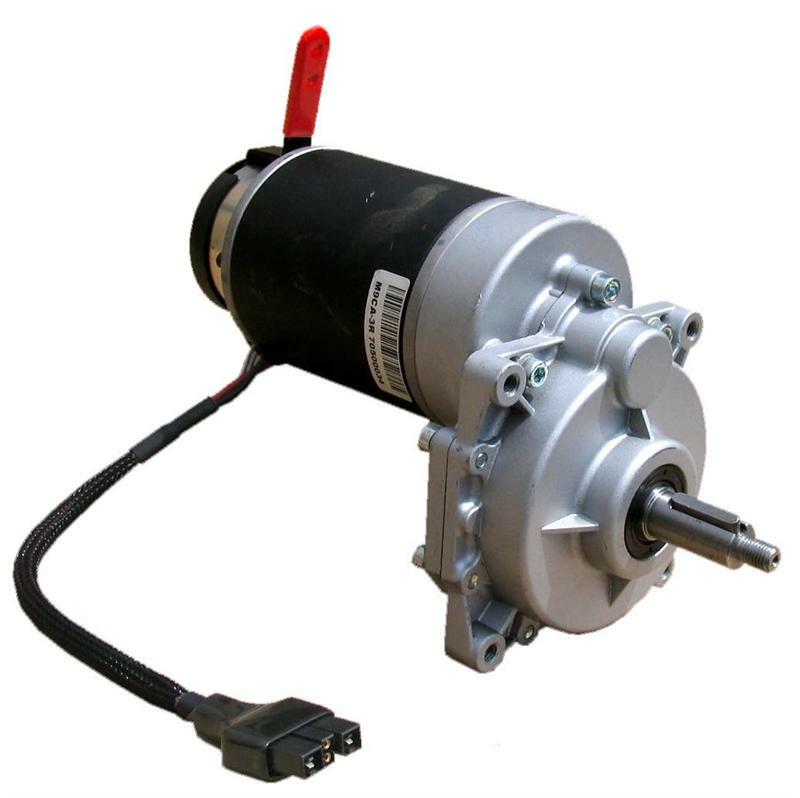 After much research I was able to find a Chinese company that makes an e-bike hub motor with an internal 1:5 gear reduction ratio. This means that the motors will be spinning 5x faster than the wheels, allowing them to spin at a speed which is closer to their optimal range. Still, at the low speed of a mountain wheelchair, even these geared-reduction e-bike motors would get hot. Luckily though, I was able to find a Chinese manufacturer that were prepared to do a custom winding on the motor magnets for me. Basically, with this custom winding, it means that the motor’s optimal speed range is much lower, and as a beneficial side-effect, they’ll have more torque. Perfect for climbing mountains! Another problem I had to overcome was that e-bike hub motors are designed to free-wheel. Imagine rolling down a hill on a bike, if the motors didn’t free wheel then you’d never be able to stop pedalling. 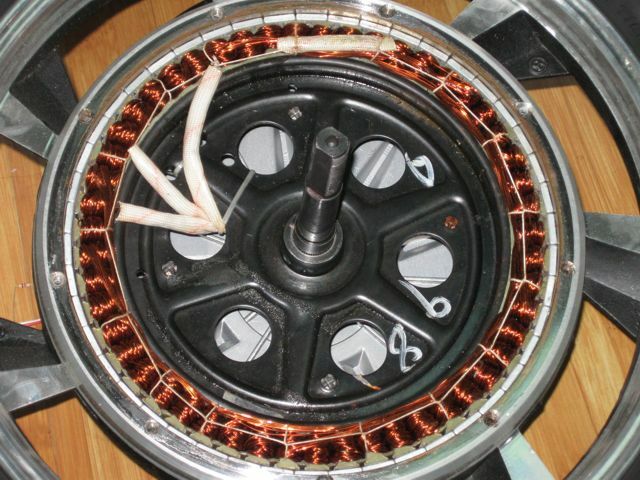 A freewheel mechanism on the motor makes sense for a bicycle. It becomes a problem on a wheelchair because it means the motors won’t drive in reverse. Fortunately, the same manufacturer I’m buying the motors from are going to modify the freewheel mechanism so that the wheelchair can be driven in reverse. An added benefit of this is that as the wheelchair rolls down a hill/mountain, because the motors will still be turning, it means the power they produce can be transferred back into the batteries, thus extended battery life. I haven’t looked at the math involved yet, but this does beg the question; when planning the battery capacity, would it be possible to set off from the bottom of the mountain with the intention of just having enough power to get to the top, and then expect that as you roll back down the mountain, you’ll have regenerated enough power to overcome and obstacles you encounter along the way? Why not use Wheelchair Motors? If I had more engineering experience, a better solution would probably have been to use wheelchair motors instead. 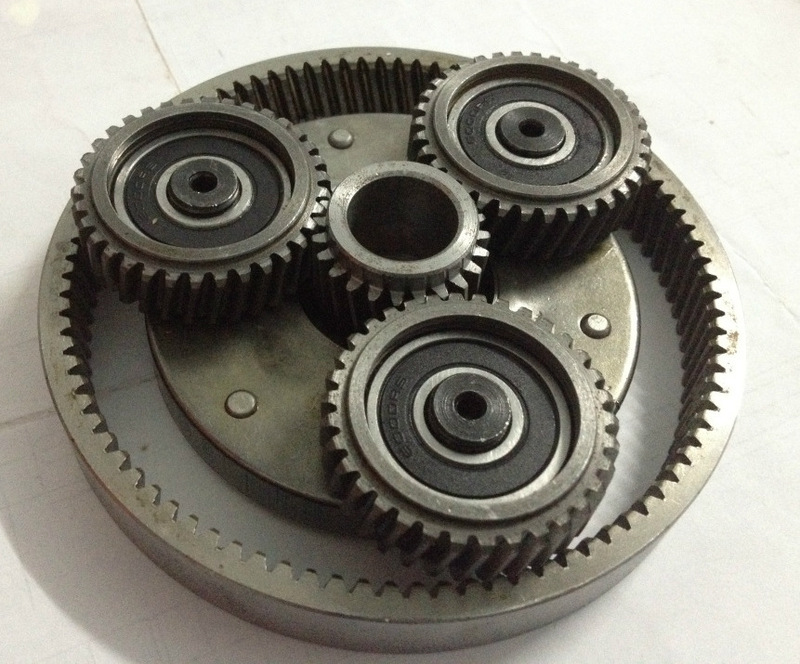 After all, they’re designed to provide high torque at low speed without any modification. This would however have resulted in a far more complicated design for the frame. Using ebike hub motors is in my opinion a simple (elegant?) solution, which combined with bicycle forks should result in something that I can build myself, even with my limited experience. Or at least that’s the plan anyway. Unsurprisingly, I’ve had to pay a little extra to get these motors made and ship them over from China, but I think it will be worth it in the long run. It is somewhat worrying ordering parts from China because there are many things that can happen to them along the way, such as hidden customs charges, loss and damage. That being said, my 3D printers were built using parts ordered from China and to date I’ve not experienced any problems. In fact, for the printers, it was cheaper to get the parts shipped from China than it was to buy them here in the UK, even with little things like a pack of screws! 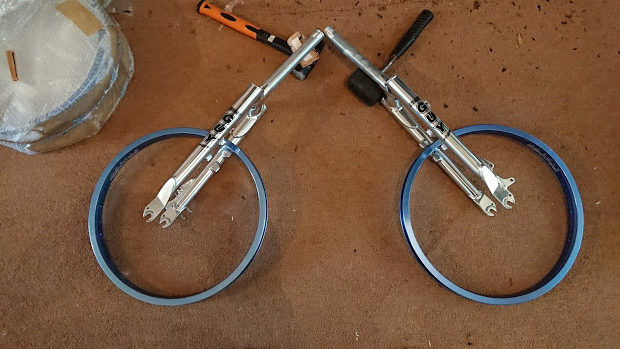 The next big step will be to finish designing the mechanism which attaches the rocker to the bogie (the parts which connects all of the bicycle forks together), learn how to weld, and then start building the thing. Before I can do that though, I need the motors to arrive and overcome any complications that arise when getting them to fit the wheel rims. Whilst I’m waiting for the motors to arrive my focus will be bringing the build-log up to date, fund-raising, and search engine optimisation. Oh, and finish building the life-size PVC model. Permalink: It’s a Real Mountain Wheelchair Bogie!! !